‘The Island’s only Veterinary Hospital, combining compassion and care with professional expertise’. New Era Veterinary Hospital provides a 24 hour veterinary service 365 days a year for Jersey, and is now open until 8pm weekdays for routine appointments (and until 6:30 at Archway and Leodis). This means that should your pet require our expertise, the full range of facilities and services that the Hospital is able to offer is made available. This includes a dedicated Veterinary Surgeon and a Qualified and registered Veterinary Nurse, at any given time of day. Please browse our facilities section for further information about New Era Veterinary Hospital. Thank you for entrusting us with the care of your pet. Join the New Era Friends Club. 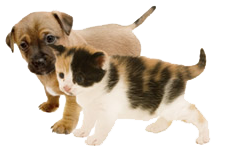 Receive discounts on vaccinations, worming and flea control treatments, as well as discounted preventative health care procedures.